Chris Linn is president, truTV. 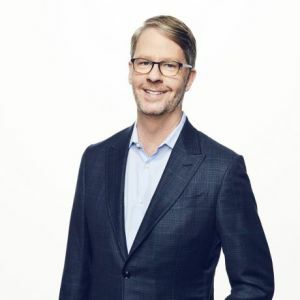 In his role, he is responsible for leading the strategic direction and core creative and business functions of the network, including the development and production of original programs and oversight of all marketing and digital initiatives as well as strategic planning for truTV. Linn is based in New York and reports to David Levy, president of Turner. Since joining truTV in August 2013, Linn has successfully navigated the network through an extensive brand and programming evolution that has transformed truTV into a comedy network with a distinct point of view. Under his direction, the new truTV was launched in 2014 and now includes a portfolio of talent-driven series including Adam Ruins Everything, At Home with Amy Sedaris, I’m Sorry, Jon Glaser Loves Gear, The Carbonaro Effect, and Those Who Can’t, among others. During his tenure Linn acquired the popular variety sketch series Billy on the Street and earned the network its first Emmy® Award nomination in 2017. Under his direction, the network has also built its flagship original series Impractical Jokers into a fan-favorite, multi-platform juggernaut. As a result of this brand refresh, truTV today is programming premium comedic content that is delivering consistent ratings growth, significant engagement and attracting younger, more desirable audiences. Linn came to truTV after serving as executive vice president of programming and head of production for MTV. During his tenure, Linn helped develop and oversee the production of some of MTV's biggest hits, including the hugely-popular Jersey Shore and its successful spin-off, Snooki & JWOWW. More recently, he led the team that developed the 2012 hit Catfish and launched Ke$ha: My Crazy and Beautiful Life. In addition, Linn oversaw the development of movies like DisConnected, Made: The Movie and My Super Psycho Sweet 16. Linn is a member of the executive board of the New York Television Festival. A native of Orlando, Fla., he earned a bachelor’s degree in theater arts from the University of Florida, College of Fine Arts.